Members of the Board of Finance have approved only half of a $2 million state grant to improve the Springdale train station commuter parking lot because they are concerned that too much of the money is slated for administrative expenses instead of construction costs. 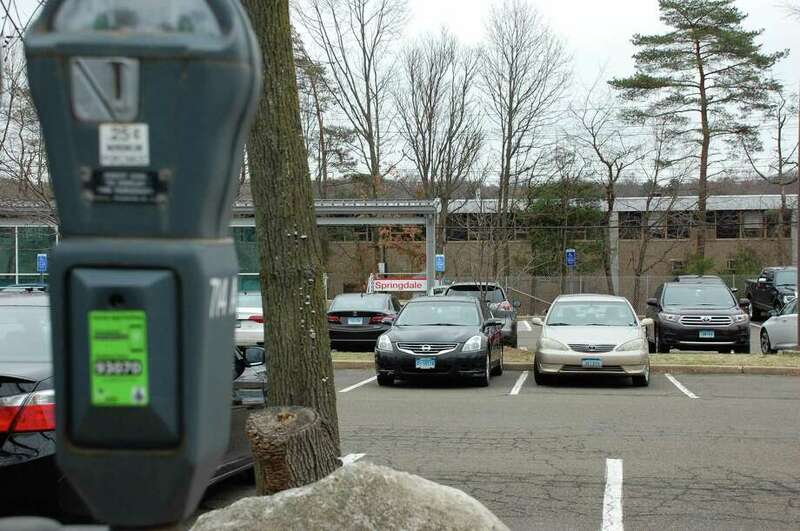 STAMFORD — The Board of Finance is holding off on accepting all of a $2 million grant the state gave the city to improve the Springdale train station parking lot. It’s because the plan appears to be loaded with “soft costs,” board Chairman Richard Freedman said. The plan calls for a city-paid clerk of the works — a temporary employee — to oversee the two-year project for a total salary of $166,000, plus a general contractor doing the same for whatever construction firm is hired, Freedman said. “I am shocked at how little work is actually getting done for $2 million,” he said. The city won the competitive grant last year from the Connecticut Office of Policy & Management’s 2017 Responsible Growth and Transit-Oriented Development Program, designed to increase use of mass transit by making it easier for people to walk, bicycle and park at transit hubs. The goal is to create better pedestrian and bike access to the train station from the center of Springdale; move the Hope Street commuter-lot entrance so it aligns with Clearview Avenue; reconfigure the lot to maximize the number of parking spaces; renovate surrounding sidewalks; improve nearby Hope Street crosswalks; and add landscaping. City traffic engineer Frank Petise told the board the project is a “preliminary concept” based on a transit-oriented development plan for Springdale that was completed about five years ago. The idea behind such a plan is to reduce traffic by promoting development around train stations and places, such as Hope Street, with multiple bus stops. One of the goals is to improve sidewalks to promote pedestrian traffic on Hope Street, where there are restaurants, coffee shops, banks, and jewelry, pet, tile, grocery and other stores, plus dry cleaners, hair salons and other service shops. Petise said the sidewalk portion of the Springdale train station parking lot project will add streetscaping and connect it to similar work, completed about four years ago, that ended at Hope Street and Largo Drive. That was a $4.2 million project to improve traffic flow and pedestrian safety by widening Hope Street and installing better sidewalks. Petise said his office issued a request for proposals to firms interested in designing the train station parking project and received eight bids. No firm has been selected yet, Petise said. Finance board members decided the traffic department should find a way to tweak the project budget “to reduce overhead costs,” and the best move was to appropriate half the $2 million state grant so a design can move forward. Once a design is complete, traffic engineers can come back to the board for the remaining money, members said. “We can revisit it when the project goes out to bid for construction,” board member David Kooris said. The six finance board members voted unanimously to approve half the grant. Freedman said the city should get the biggest bang it can get for a buck, even if the buck is a state grant. “I guess I just want to send a message that I would like to see more work done for this money,” he said.